This scheme relocated the front door to go directly into the living room. The dining room gets a French door onto the patio to make outdoor dining convenient. A deep overhang on the high roof provides weather protection and shading. The French door is centered in the dining room space. 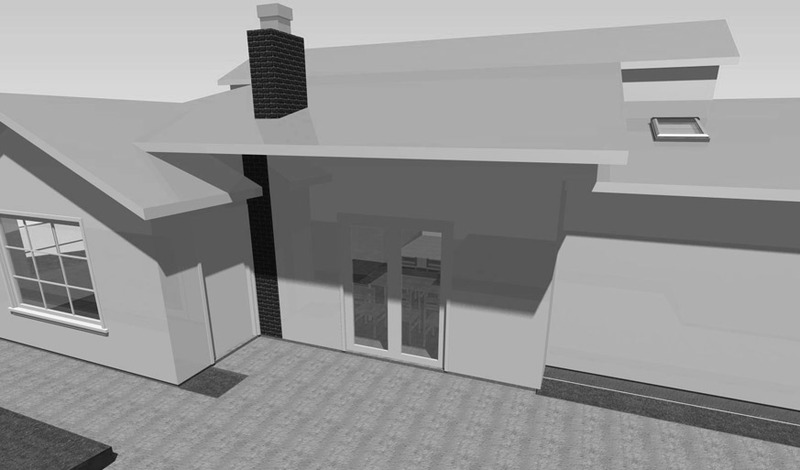 The final design reflected the raised roof transition from the rear roof concept from this scheme.